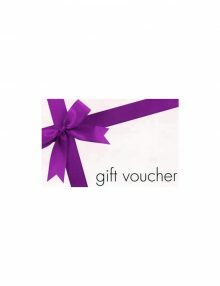 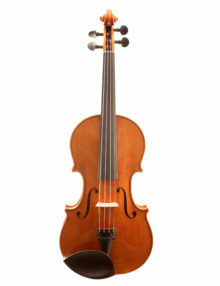 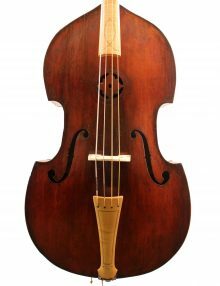 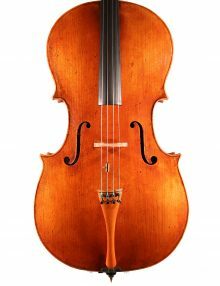 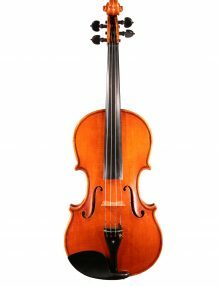 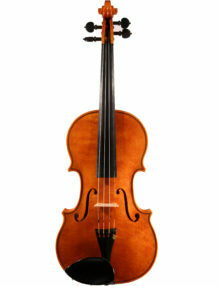 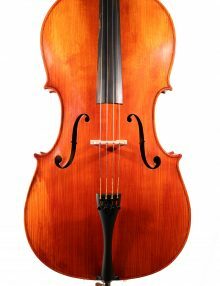 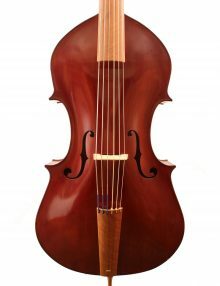 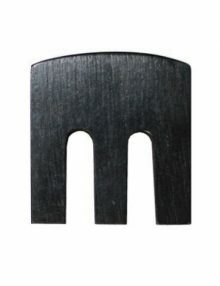 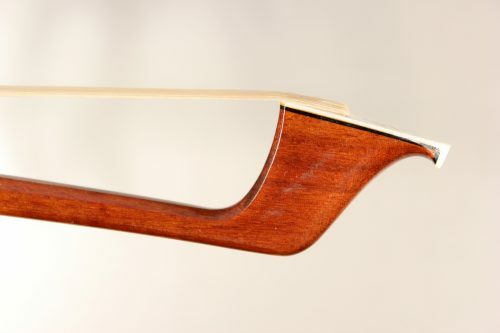 View basket “Cello bow by D Silveira, Brazil” has been added to your basket. 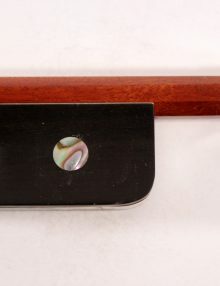 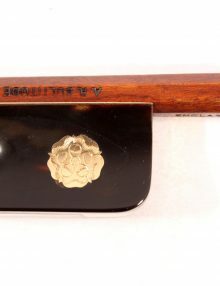 no stamp, octagonal stick with imitation tortoiseshell lapping, fully mounted ebony frog with mother of pearl eye and silver lined slide, the heel of the frog made from silver and pearl, Three piece button has ebony facets inlaid with mother of pearl on each side. 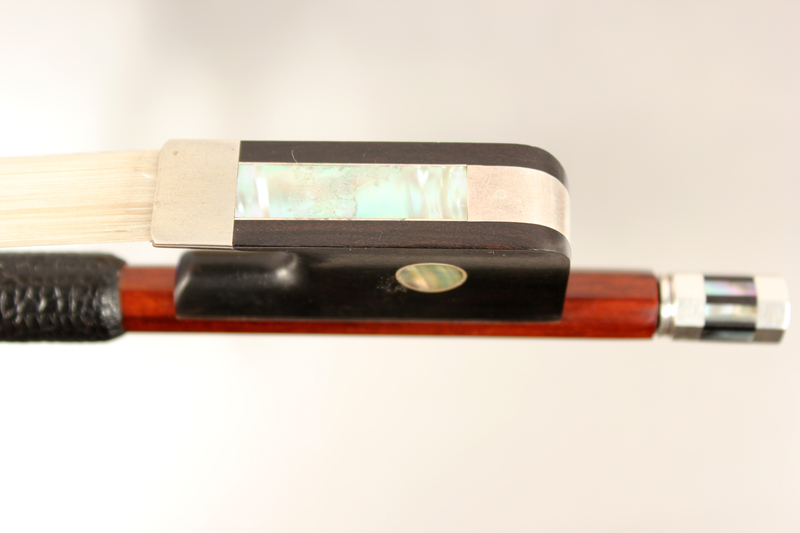 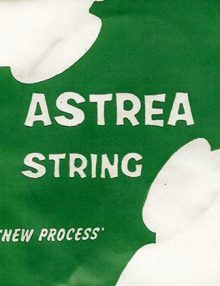 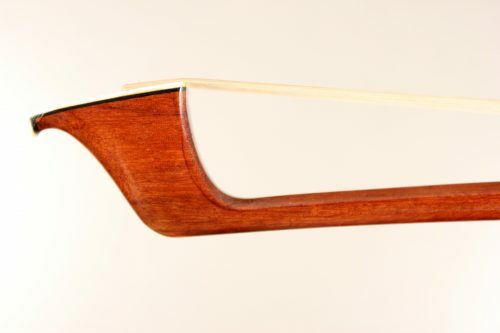 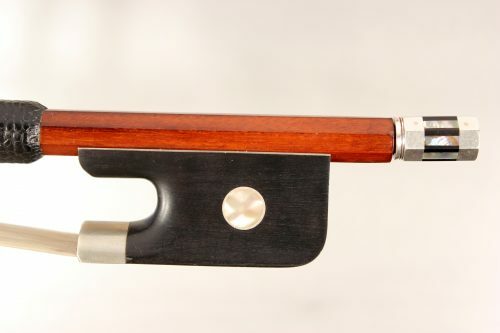 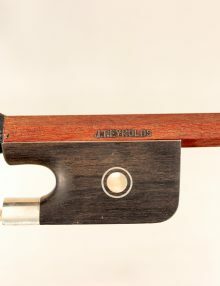 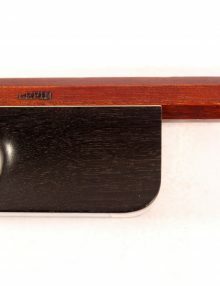 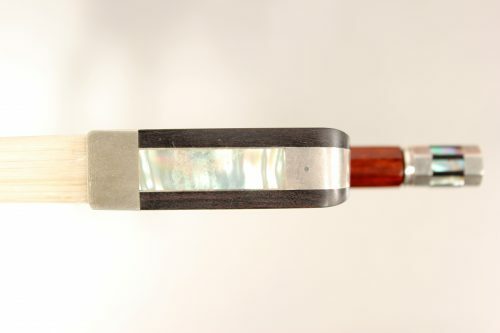 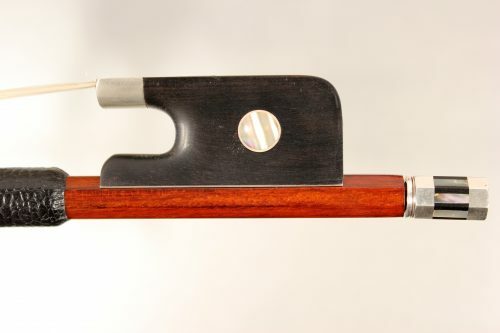 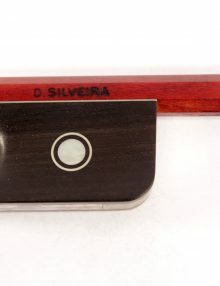 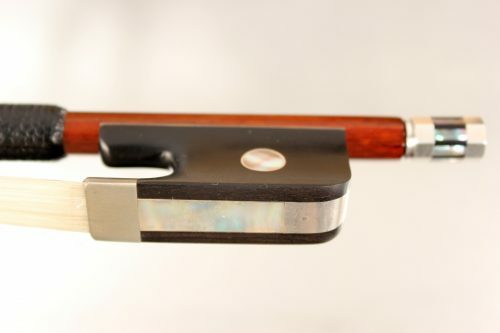 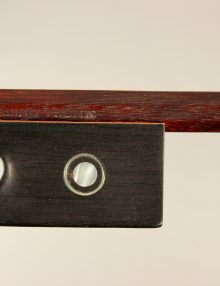 Violin bow By Albert Thoma Hohendorf c.1950.